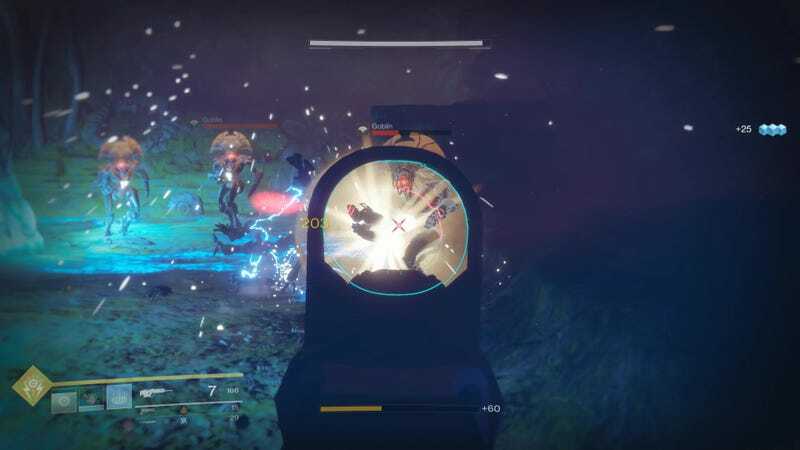 Destiny has long had one of the best first-person shooter control schemes on consoles. On PC, getting there requires a little more work. When I reviewed the first Destiny back in 2014, I said that Bungie had created the most physically satisfying shooter control scheme since Gears of War. I still feel that way, though only when talking about how it works on a game controller. I’ve been enjoying playing the sequel on PC and love the added precision of using a mouse, but the default keybindings are actually kinda weird. Fortunately, you can remap the buttons however you want. Of course, remapping PC game controls is nothing new. Like most PC games, you can change Destiny 2's button layout easily in the “Key Mapping” part of the options menu. For my first few days with the PC version, I was content to tinker around there, using the extra buttons on my gaming mouse to cover things like my melee attack, grenade, and weapon switching. The more I looked around, however, the more possibilities I found. For starters, you can go into your “cvars” preferences file and add alternate key mappings, which lets you assign two keys to the same function. (You can’t do that in the in-game menu.) I found that out from this reddit post by RealoFoxtrot, which explains where to find the file and how to set it so that the mouse wheel only switches between kinetic and energy, with power weapons mapped to a different button. Some of those look weird because I have my extra mouse buttons assigned to keyboard keys. I don’t actually hit V to melee. After that, I kept tinkering with the preferences file. (In the preferences file, secondary key mappings are separated from primary ones with a ! exclamation mark after “value.”) I’ve currently got my melee, grenade, class ability, and weapon switching mapped to extra buttons on my mouse. E is interact, F is my super, and Q does my air-dodge move. I’ve got “hold to run” set to my left shift key as usual, and have actually been using down on my mouse wheel to crouch, which makes it easier to slide around in the Crucible without taking one of my fingers off of WASD. I wish there were a run input that worked similarly to how it is on console, where multiple inputs of the run button don’t cancel one another out. If there were, I’d assign it to mouse-wheel up, because I like to just send my mouse wheel spinning. Alternately, if I didn’t have these extra buttons on my mouse, I’d actually consider using the mouse wheel for my melee and grenade. I’ve also started screwing around with my mouse DPI and sensitivity. I’ve got my mouse at 1450 DPI (at 1440p resolution), and in-game have look-sensitivity at 6 with the ADS sensitivity modifier at 0.8. Initially, those two settings had been way higher, and I hadn’t realized how much it was messing with my aim in Crucible. Now my aim moves much slower, but that just means I have to swing my mouse more aggressively to get big movements. Not a huge deal. Now that I’ve started down the key-mapping rabbit hole, I’ve found people using all kinds of unusual button configurations. I’m curious how everyone else out there who’s playing D2 on PC is approaching their key mapping. If you’ve been messing around with your setup, what are you finding most advantageous?